The irony is that a certain amount of chaos is necessary because “quality” chaos stimulates creativity. Organizations that do not create some space for creative chaos run the risk of experiencing staleness, loss, and even death. If a leader fears the creative tension caused by chaos, trouble is often not far away. 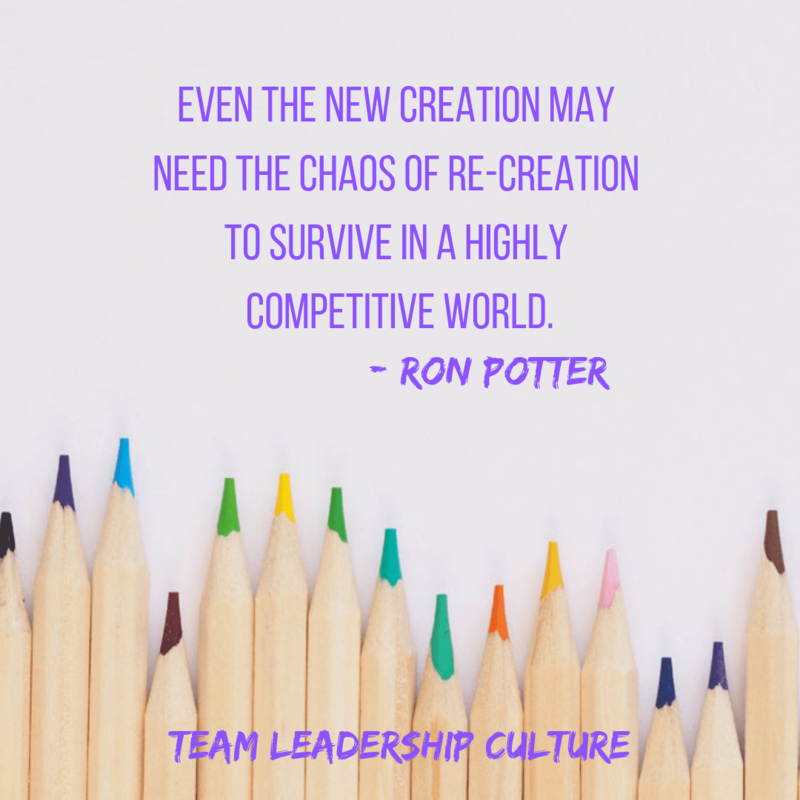 Leaders need to understand that creativity comes out of chaos, and even what has been created needs to be exposed to chaos just to make sure it is still viable and working. Even the new creation may need the chaos of re-creation to survive in a highly competitive world. Meg Wheatley writes in her book Leadership and the New Science, “The things we fear most in organizations—fluctuations, disturbances, imbalances—are also the primary sources of creativity.” The question is, how do leaders get people from the scary, agonizing, and anxiety-filled feelings of chaos to the liberating place of creativity, change, and steadiness? Before we answer that question, we do need to look at creativity and chaos. The reality of today’s world is that millions of ideas for innovation, change, and improvement lie within any factory, distribution center, high-tech office, retail storefront, or operations center. You can also multiply that number by millions (or so it seems) when you bring people together in a team setting and allow them the freedom to create, innovate, and change. In many organizations this causes chaos and uncertainty. Leaders, then, who understand the positive side of chaos can begin leading people through the confusing maze that creativity causes. They can help people understand that disruptions are opportunities. They can focus their attention on a building a culture that understands change and brings teams together, creating synergy among the members. These leaders explain how necessary it is for a company to respond to change in order to remain competitive.